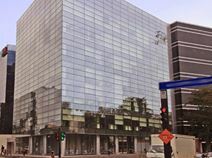 This modern and contemporary office building is fast becoming renowned as a leading corporate installation in Lima's globally famous and commercially significant main business district. Close to two of the city's major thoroughfares the contemporary and exceptionally supplied business building has great transport links, on-site facilities and a mix of open-plan office space and private executive suites. With the office being located on the 7th floor of this centralized location, it makes for a fascinating view overlooking the below city life. The spacious, yet comfortable, lounge area creates a relaxing environment for employees. With no shortage of conveniences, such as bars, supermarkets, restaurants and a big cinema, this location provides plenty of entertainment for both employees and their visitors. Conveniently located nearby local Kennedy Park, this location is checks all of the boxes for any company, big or small, looking for accommodations. Including the 100% fully equipped private offices, this location offers a stunning view overlooking the surrounding area. With the wide range of amenities provided and the centralized train station nearby, this center is ideal for any company looking to appeal to both current and future clients. Cleverly located with its surrounding features, this location is ideal for any company, big or small, looking for accommodations. The scenic views provide an atmosphere that both employees and visiting guests will appreciate. From the wide range of amenities provided, to the centralized train station nearby, this center is optimal for any company looking to appeal to both current and future clients. This exceptionally well equipped and exquisitely furnished corporate business installation is a premium provider of executive office space and is a commercial significant destination for any type of business of corporate activity. With a full range of the latest business services and specialist facilities on offer for all tenants, this is the ideal working environment for all professionals across any industry. The center conveniently provides easy access to a local train station, located within walking distance. This site is also located in a very stress free area in order to create an inviting atmosphere for employees and guests alike. Along with the exclusive views overlooking the surrounding scenery, this location offers a premium view of the local racecourse. This location makes for an ideal working environment. The center conveniently provides easy access to a Metropolitano station located within walking distance. This site is also located in a very stress free area in order to create an inviting atmosphere for employees and guests alike. Included with this location are exclusive views overlooking the surrounding scenery, making it an ideal environment to conduct business. With the spacious cafeteria, there will never be a shortage of space to accommodate guests. This business center is central within San Isidro. This newly built office building has ample parking facilities. The center is ideally located, close upscale hotels and retail and dining facilities. This first rate building in Lima has the additional benefits to tenants of a sandwich service and a cybercafé. It is situated in the main business district of the capital, with convenient transport links. It is part of a complex of twelve towers, with a range of facilities nearby, including banks, restaurants, nightspots, hotels, cinema and theatres and golf courses. An impressive centre situated in a vibrant area of Lima, with access to a multitude of useful services including meeting rooms, 24-hour access and a business lounge area. The work-spaces also benefit from plenty of natural light and large conference rooms. On-site staff are available as well to handle any enquiries that may arise. In terms of location, the centre is well positioned close to several restaurants, bars, hotels and other useful services. The train station is proximate, and the local areas are all easily accessible via road links or metro. Near Lima's two major thoroughfares and some of the area's most notable and popular sites of public interest in the heart of the financial and business district this ultra-modern skyscraper is one of the tallest in the country and instantly recognisable. It holds a LEED certificate so is great for those who are "green" minded and provides a great mix of co-working areas and private executive suite office space. Offices available for lease in this premium office building in Lima, this first LEED (Leadership in Energy and Environmental Design) in Peru. It is located in the San Isidro business district, and overlooks the Parque de Las Americas, providing fantastic views. There is the convenience of parking levels within the building, and close by are the Westin Hotel Lima, and a range of upscale dining and shopping options. This stunning and contemporary business installation is set within a locally renowned and commercially significant corporate facility that offers a wide and extensive range of facilities and professional services as standard to all occupying tenants. These include high speed internet, spacious meeting rooms, conferencing facilities, an impressive reception area, on-site management, security and administrative support and more. This fantastic and exquisitely furnished professional business center is just a street away from the popular and locally significant Paseo de la República Avenue and sits above Metropolitan's main local bus station. At the heart of the vibrant and rapidly developing San Isidros Business District this is one of the most attractive and economically significant business districts and corporate communities in the whole of Peru. Office space available in a newly-completed complex in the El Derby business and residential district of Lima. The centre is next to Jockey Plaza Mall, the American Embassy and exclusive country clubs. There is convenient public transport links and excellent restaurants in the area. This exquisitely furnished and state of the art business center installation is a prestigious and commercially significant corporate establishment, offering all prospective tenants and professional occupants with a number of executive provisions and facilities; including reception services, spacious meeting rooms, conferencing capability, breakout space, high speed internet connections, on-site management and much more. This exquisitely furnished and highly prestigious business center installation is representative of some of the region's very best and highest quality premium workspace solutions and office suite provision, set within a landmark business building in the heart of the area's main major corporate district. The site is also easily accessible due to the range of excellent and highly convenient transport services. 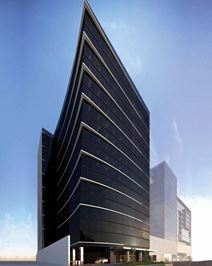 This breathtaking modern landmark office building can be found in Lima's significant regional financial district. From the business center's co-working areas and private executive office space situated on the 12th and 13th floors, tenants have incredible panoramic views across the Parque de Las Americas, while the surrounding area provides an influential business culture and vibrant commercial community. Fully serviced offices are available to let in a modern business centre in Lima. Furnished to a high standard and technologically equipped, these offices are provided with reception and cleaning services, 24/7 access, security system and lounge areas.